Concordia’s JROTC program develops confident, caring Christian leaders and citizens. Students learn leadership skills, problem-solving, planning, and organizational skills, decision making processes, team building, effective speaking, and writing. Students also learn strengths such as integrity, self-confidence, responsibility, and the ethical values of honor, commitment, respect, loyalty, and selfless service. Honors, awards and promotions encourage achievement. Its purpose is to instill in students the values of citizenship, service to the community and to the United States, personal responsibility, and a sense of accomplishment. Concordia’s Leadership and Citizenship Program is a cooperative effort between the school and the Army. 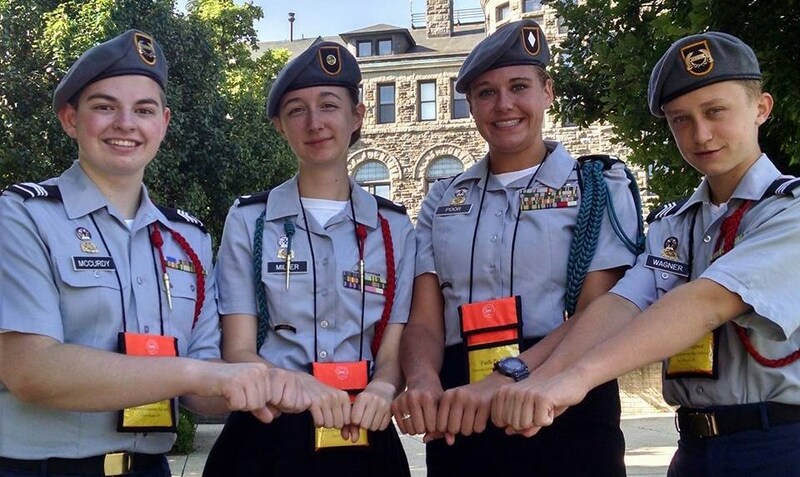 The Army Junior ROTC program has been an integral and outstanding part of Concordia’s academic tradition since 1935. JROTC is NOT a military program. JROTC is a leadership and citizenship development program. Many of Concordia’s most distinguished alumni participated in the program. Concordia’s Corps of Cadets is recognized as one of the best programs in the nation. Like us and get frequent updates on the program and events. Want to be a race sponsor?